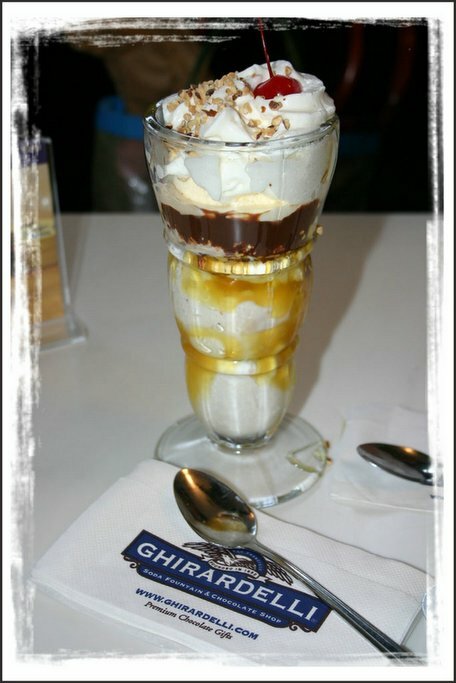 Irresistible Ghirardelli ice cream sundaes. Oh, my gosh...I didn't even know there was such a thing. Looks delicious! Is it time for a little trip to SF??? The edges look cool!!! Frames the delectibility v. well!!! i feel like going out and look for them!